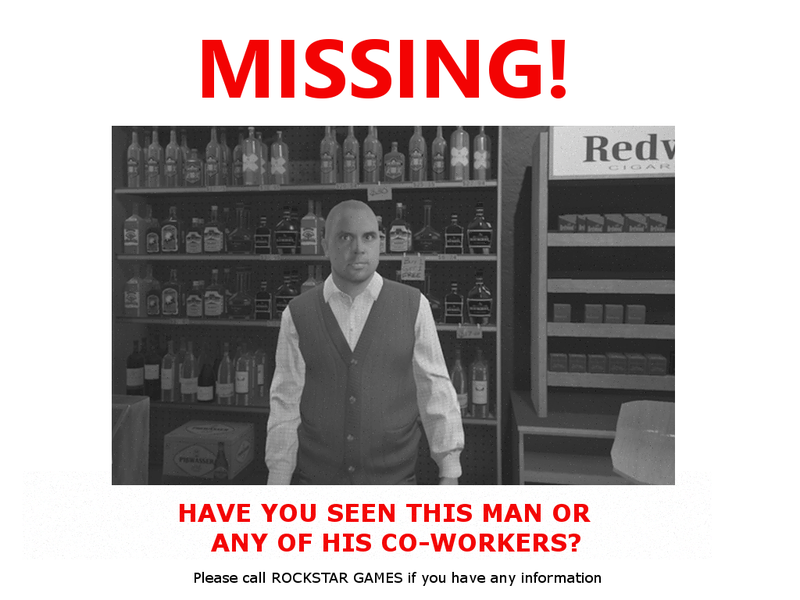 Update 1:50 PM: Store clerk NPCs are now being reported as back across all platforms, though there is still no explanation as to why they were gone. Original story as follows: GTA Online players noticed something odd yesterday: all of the convenience store and liquor store cashiers are now gone. 12 hours later, these characters are still missing and nobody knows what happened. 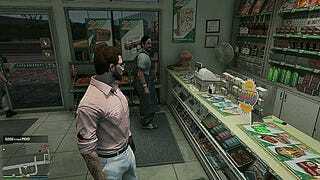 As many of you know, GTA Online convenience stores are operated by one NPC who will sell snacks and drinks to the player. Since it’s GTA Online, you can also just pull out a gun and rob them. There are over a dozen stores around Los Santos that players can enter and rob—and right now, every single one has no staff inside. I checked each store across the digital state of San Andreas and every store was the same. No clerk. Some stores still had NPC patrons coming up to the counter, waiting for a cashier to check them out. They would wait for a while then leave, probably confused. Barber shops, clothing stores and bars are still operating normally, though. While it might seem like a small feature, robbing convenience stores is sometimes a daily objective, which means that right now, some players can’t finish their daily missions. The more glaring problem, though, is that without store clerks, new GTA Online players can’t complete the tutorial. Last night I made a new character and played through the opening of GTA Online. Once I had finished the first few tasks, Lamar told me to go rob a convenience store, but there was nobody there. Okay then! I tried finding a way around it by shooting the register, and while money does drop, it doesn’t count as “robbing” the store. Welp. You can, of course, just skip the tutorial, but totally newbie players probably won’t do that. It’s also possible to get out of the tutorial once you’re in it, but in my experience those methods are buggy are unreliable. Store clerks aren’t the only thing missing in GTA Online: right now, players also can’t organize cars in their garages, while some PC players are having issues setting bounties. Why any of this is happening is anybody’s guess. In the past, Rockstar has fixed exploits by temporarily removing features. Rockstar has not yet responded to a request for comment. I wouldn’t be surprised if this issue gets resolved quickly given that it is a part of the tutorial, but until then, I guess we can just pretend they’re on strike or something.